we came across beautiful landscapes covered with tea gardens. These rolling hills covered with tea plantations and rice paddies are a visual delight. Nice green, color and tones. Clear, clean and very well done. An Artist at work in creating a landscape such as this. Hello Parmeet, a fascinating landscape that you share with us. 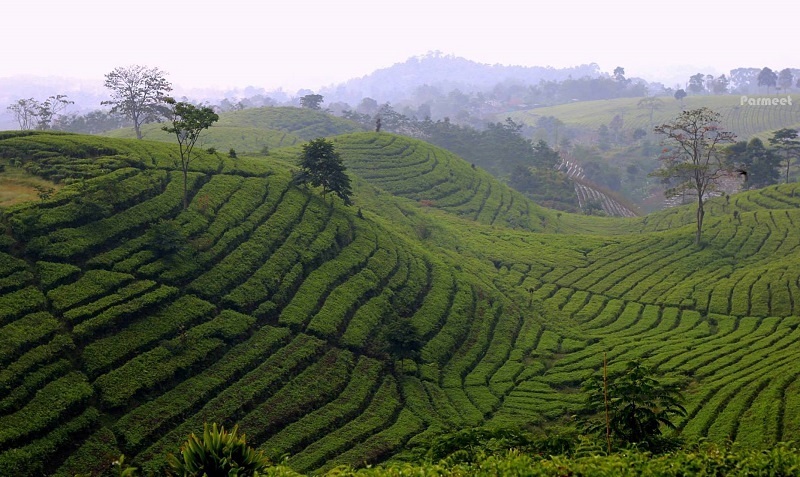 The hillsides filled with row upon row of tea plants; the lines and shapes are wonderful. Hi Parmeet...this is a nice shot. Well composed with nice details and tones.